“A diet rich in meat, eggs, milk and cheese could be as harmful to health as smoking, according to a controversial study into the impact of protein consumption on longevity. Too early to draw firm conclusions? Perhaps… but clearly, not too early to present the research in as alarming a fashion as possible. Better watch out for the Cheese Police. Although the article refers chiefly to the U.S. Food and Drug Administration, Linnekin also makes it clear that what is happening in the U.S. is also underway in Canada. Anyone surprised? Not me. There are a bunch of bureaucrats who have budgets to justify and jobs to protect, so they have to find something to do. So, let’s see… shall we target big, corporate food producers? You know, the ones who have lawyers and make donations to the politicians on whom I depend for employment? Or, how about some defenceless small scale artisanal producers and organic farmers? Yeah, that sounds better. Let’s go after the hippies and the Amish. Coming soon: Black Market cheese. If you’re making any, let me know, because I want to buy it. In fact, I’ve heard of people using Bitcoin to make anonymous purchases of illicit products over the internet. 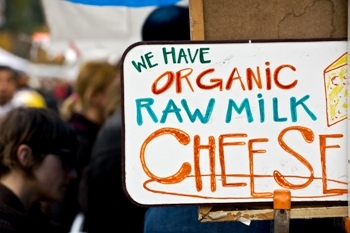 I don’t know if raw-milk cheeses are amongst those goods, but if not, there’s a market opportunity for somebody. It is a cold fact of nature that your typical Canadian would sooner bleed out and die on the operating table before admitting there are problems with the universal health insurance system. Well, all I can say is ‘Go, India!’ Neither Canada, the U.S. nor any other country is going to see constantly improving health care and perpetually falling prices until governments withdraw entirely from every facet of the health care market. If it weren’t for progress on the margins, we’d have none at all. “The chair of Canadian Doctors for Medicare said she was shocked by the news that a company in Ontario was planning to pay for plasma. “…officials distinguish between two uses of plasma. Plasma used for transfusions is always donated as part of an extensive screening and testing system. In a world where a free market in organ donations is desperately needed, it is depressing that there is even a debate concerning for-profit blood donation. It is doubly depressing that so much of the opposition comes from the medical community, which is bound, by oath, to do no harm. Cross your fingers, and hope the feds do the right thing here. So, this is a bigger victory for freedom than it appears, even for Canadians. In Victoria, in Vancouver, in Charlottetown… in every major city in Canada, there are paternalists disguised as public health specialists, and each of them is eager to conflate medical judgements (tanning beds might raise your risk of cancer) with moral judgements (you should not use tanning beds). For the sake of their jobs and their egos, they look to deny their friends, neighbours, and family members the freedom to decide to trade some health and longevity for other things they might prefer, such as pleasure or convenience. Judge Tingling’s finding will almost certainly chill the enthusiasm of some of these nannies, and bolster the fighting resolve of their opponents. That’s a big win. How Concerned Should We Be About GMOs? The Future of Food had a recent showing in Langley, courtesy of a couple of resident ladies. Articles about the event emphasize that these women are ‘moms’, as does a website named for the daughter of one of the women (apparently this lends them extra credibility, or signals that they are more genuinely concerned about the well-being of others). Both women have made it clear that they are simply out to educate consumers so that people can decide for themselves what is best, and insist that getting the government involved is not one of their goals. Just kidding. These folks think GMOs are EVIL, and they want them banned! Don’t get me wrong. There are issues with GMOs, mostly surrounding patents, but unfortunately many activist critics have proven themselves untrustworthy. Happily, you can always turn to the libertarian journalists for accurate information. Equally important, you can count on market forces to bring about the changes consumers demand. When it became clear that a number of consumers were concerned about the use of herbicides and pesticides in their food, producers rushed to provide clearly-labeled organic produce. When a sufficient number of consumers indicate they have a preference for GMO-free food, you can bet producers will respond. Until then, is it too much to ask these busybodies to stop making demands that will result in higher prices, when the rest of us aren’t concerned? I bet they would accept payment in chickens, too. Many times I come across arguments against health care privatization in which one is advised to ‘just look at the US!’ The fact is, though, rather than being a free-market system, American health care and health insurance provision is regulated to within an inch of its life. Comparing the US and Canadian systems has only served to strengthen my conviction that, other than enforcing prohibitions against the use of force and fraud, government should withdraw from every aspect of the health care market. This graphic (courtesy of the LA Times) gives us some inkling of the tremendous savings that may become available once the state is no longer interjecting itself between the health care consumer and the health care provider.